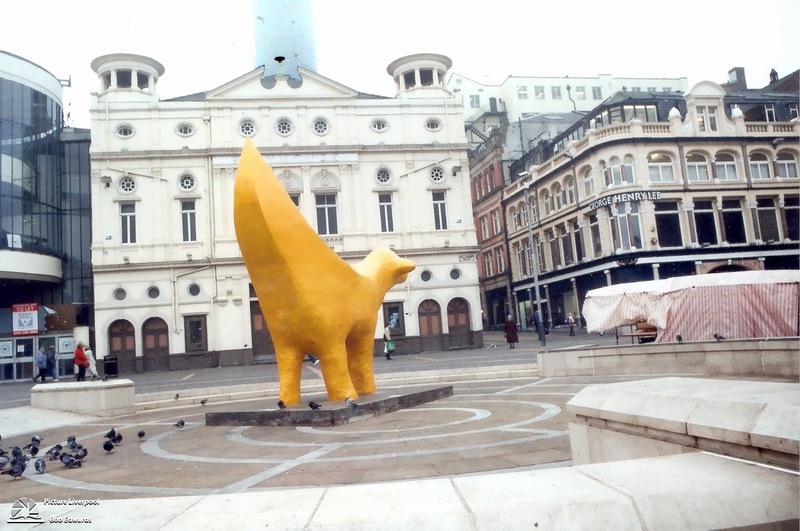 Superlambanana is a bright yellow sculpture located in Liverpool. Weighing almost eight tons and standing at 17 feet tall, it is intended to be a cross between a banana and a lamb and was designed by Manhattan-based Japanese artist Taro Chiezo. 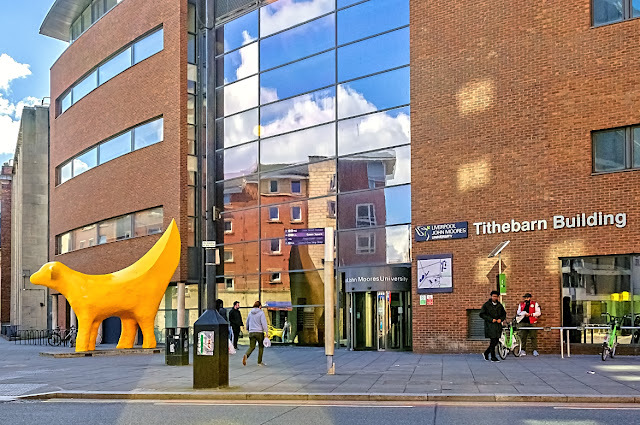 It currently stands in Tithebarn Street, outside the Liverpool John Moores University Avril Robarts Library/Learning Resource Centre, having previously been located on Wapping near the Albert Dock. Chiezo himself only created a four-inch model, with four local artists: Andy Small, Julian Taylor, Tommy Reason and Ray Stokes, creating the full size replica. Developed for the 1998 ArtTransPennine Exhibition, the sculpture is both a comment on the dangers of genetic engineering and also heavily influenced by the history of Liverpool: historically both sheep and bananas were common cargos in the city's docks. It was created using a wire-mesh frame that supported a concrete and fibreglass shell and was developed at the former Bryant and May Matchworks factory in the south of the City at a total cost of £35,000. The sculpture was at first considered controversial and there was scepticism regarding its purpose and value. However it soon became a popular symbol in the city and a valued piece of public art. At the end of the ArtTransPennine Exhibition, responsibility for the sculpture was handed to the Liverpool Architecture and Design Trust. 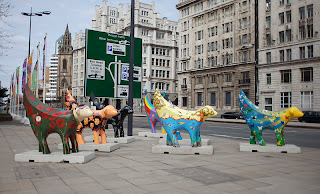 In 2008, as part of Liverpool's year-long position as European Capital of Culture, 125 individually designed miniature replicas were created. Sponsored by local community organisations and businesses in the city, the mini Superlambananas were located throughout the Liverpool and Merseyside region. One sculpture, The Highest SuperLambBanana, was located on top of Moel Famau, North Wales, recognising the very close links the city has with that region. Since the sculpture's conception it was intended to move around the city and not remain in one location. 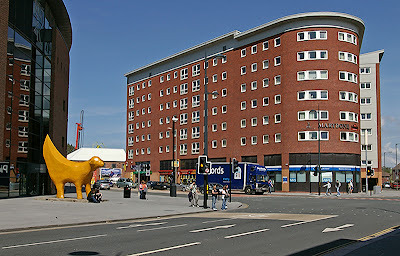 It was located on the Strand near Liverpool's famous Liver Building and has since been located in several places including Williamson Square, Spike Island in Halton, Cheshire, and on Wapping, close to the Albert Dock. 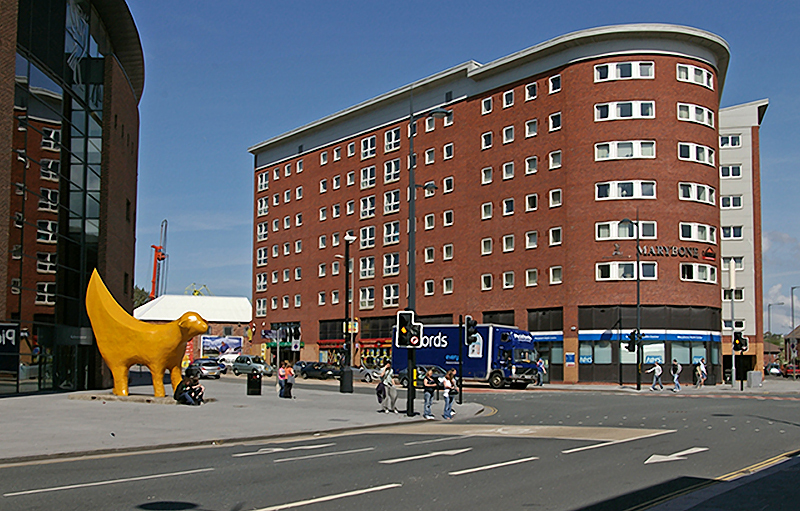 Although its usual colour is yellow, the statue has occasionally been given a temporary repaint as part of a sponsorship arrangement. 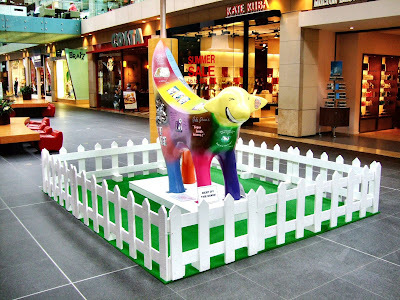 Colours have included pink, during a period of sponsorship by the breast cancer awareness charity Breakthrough, the colours of a Friesian cow during a period of 'quasi-vandalism', and purple during the SmokeFree Liverpool campaign. The most popular superlambanana at an auction of the iconic sculptures held in 2008 has been donated to a Liverpool museum by one of the city's most famous sons. 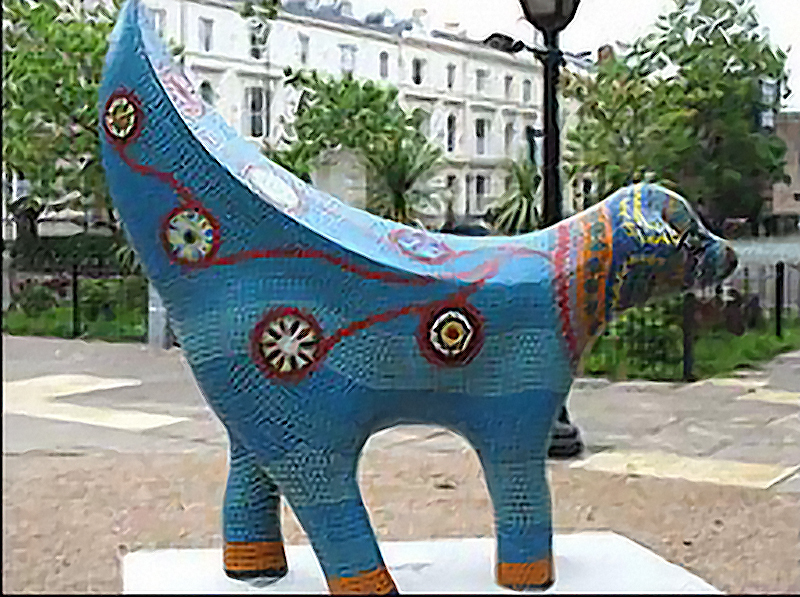 Phil Redmond, creator of Brookside, Grange Hill and Hollyoaks, bought Mandy Mandala at a charity auction of 170 superlambananas for £25,000. Now the creative director of Capital of Culture events, Mr Redmond has handed her to World Museum Liverpool.